My first instinct towards “action” always leads me to making art – and that activism has led to many creative projects that take me out of the studio and into different communities. The Please Respond artist correspondence books allow me to engage dozens of artists across the country in creative, visual conversations. Through others I have, with illustrations and text, spoken to young children and the 44th President (Cee Cee and Funny Madame blog, Letters to the President). When Grammy-nominated jazz musician Matt Wilson me to visually explore the connection between jazz and poetry, I was ready. And when I saw that a drawn line could better enable senior citizens to enjoy a walk in the shade of large trees, I drew it – and then brought in my Alderman, an architect and a horticultural therapist to complete my vision. Using a combination of art and e-communications to help activate like-minded people to engage in our political process (Stand Up and Show Up) is a how I use my art to activate others to good works, and has also helped sustain me since the 2016 elections. An ongoing correspondence book project that began in 2002. Two artists play off of each others’ work to build a visual roadmap of their shared creative journey. 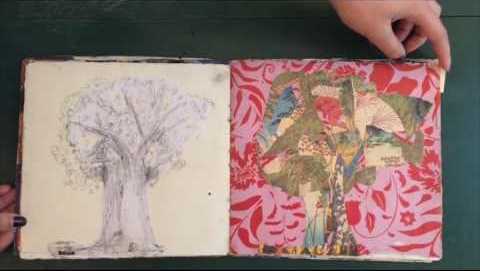 Click here to take a closer look and purchase reproductions of these one-of-a-kind books. Narration by Cecilia Pinto (aka. "Cee Cee"); Illustrations by Megan Williamson (aka. Funny Madame"). Each book is a simple story of a dog’s adventures, layered with imagination, numbers, plot twists and humor. 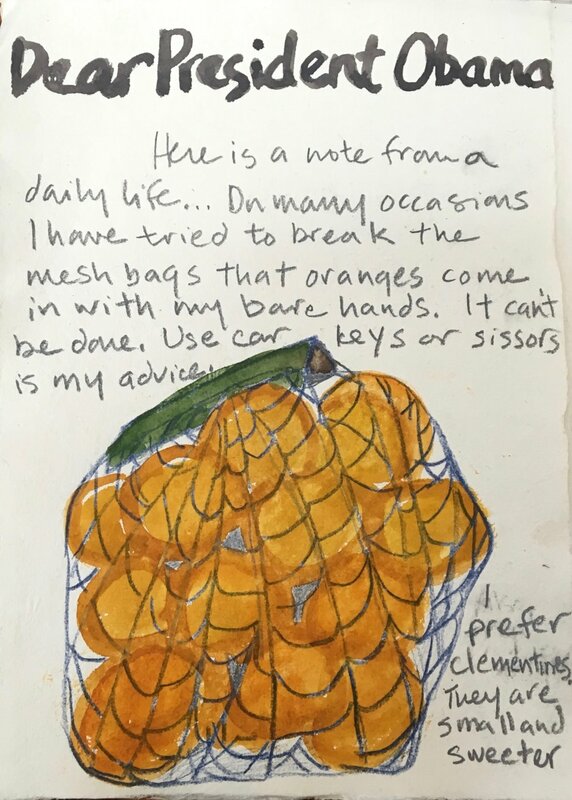 Missives from the everyday life of a Chicago artist, written to President Obama over the 8 yrs of his time in office to keep him in touch with home. A belief that Art can pierce The Bubble of our nation’s capital inspired “Letters to the President”. In addition to being letters for President Obama, they are of course letters to myself. Possibly they are also letters to the Reader … as a reminder to remember everyday moments from our everyday lives. 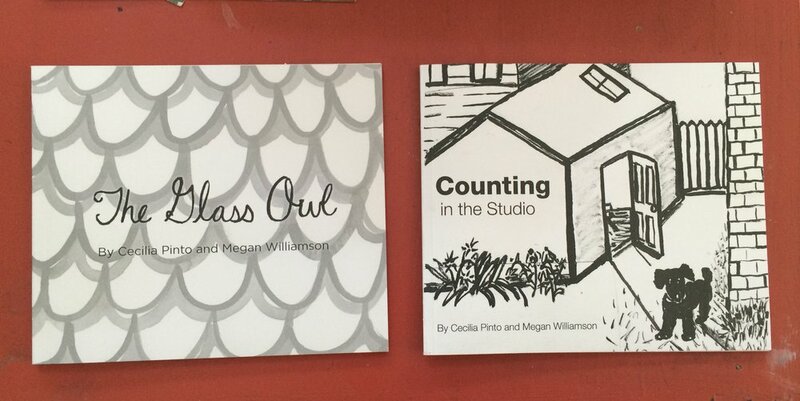 Click here to purchase reproductions of these one-of-a-kind books. Since 2016, I have offered this intimate space to artists and arts organizations for exhibitions, readings, performances, meetings and to present work still-in-development. There is no fee to use the space, and artists handle the sales directly. I know how hard it is to get one’s work out into the world, and I like to offer my larger artist community this resource for them to do just that. A political action group that was formed by a handful of artists in response to the 2016 election. Each week we send an email with 2 simple, political actions – one local and one national. Each email includes a unique work of art, as a visual reward for being part of this initiative ... and inspiration for the work of the week ahead! CLICK HERE to request to be added to the email list. I was commissioned by Grammy-nominated jazz musician Matt Wilson to do a suite of drawings for his 2017 “Honey and Salt” album. Both Wilson’s music and my artwork are inspired by Carl Sandburg’s book of poetry of the same name. Design plan for the addition of a curving walkway to Chicago’s Wicker Park, to allow nearby residents of a low-income Senior housing project safe and graceful access to a little used grove of trees on the project’s property.